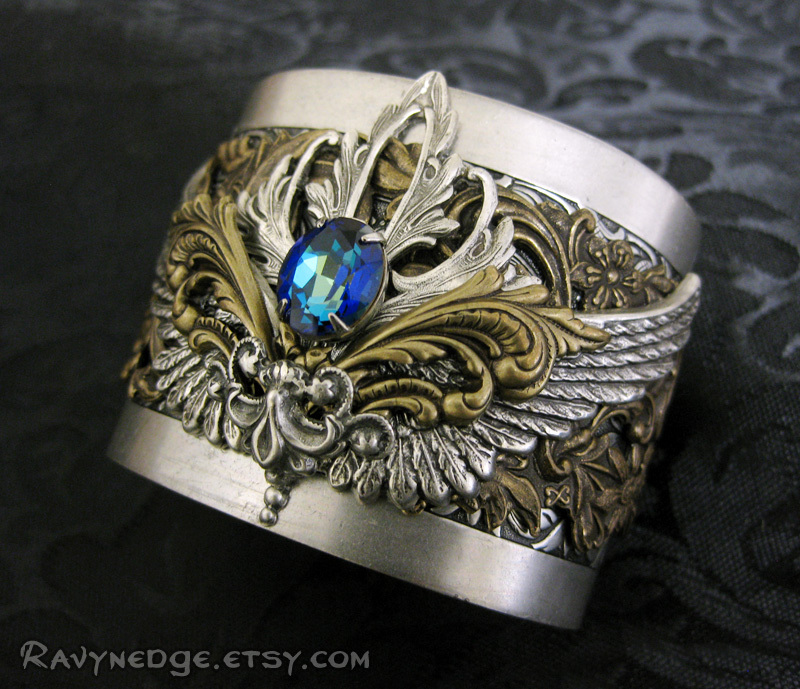 Zephyr Cuff Bracelet - Mixed Metal Angel Wings Filigree Bracelet by RavynEdge. 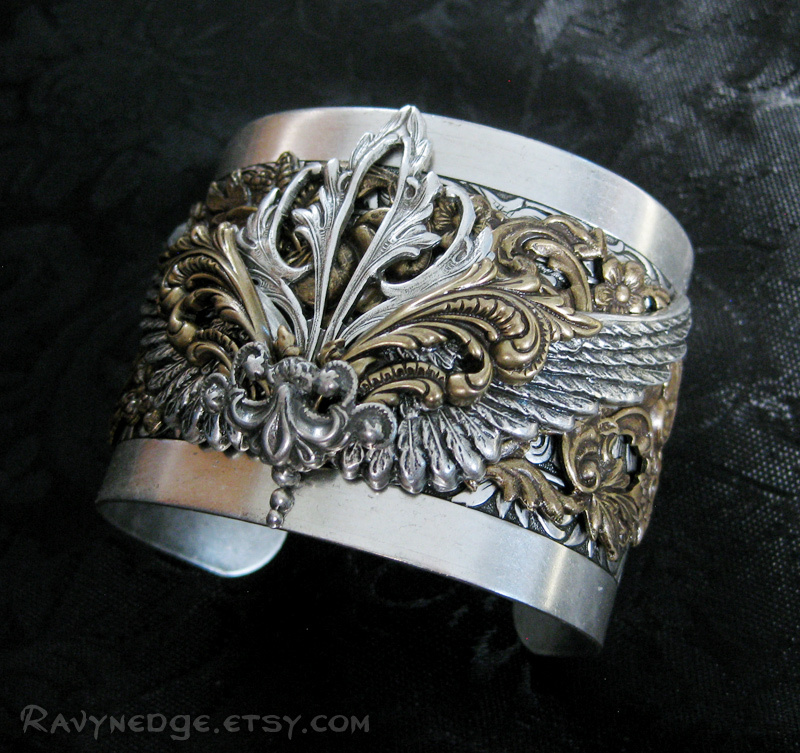 This was a custom design for a customer who wanted a cuff bracelet for his wife that would match the Zephyr Cuff links and Tie Tack. 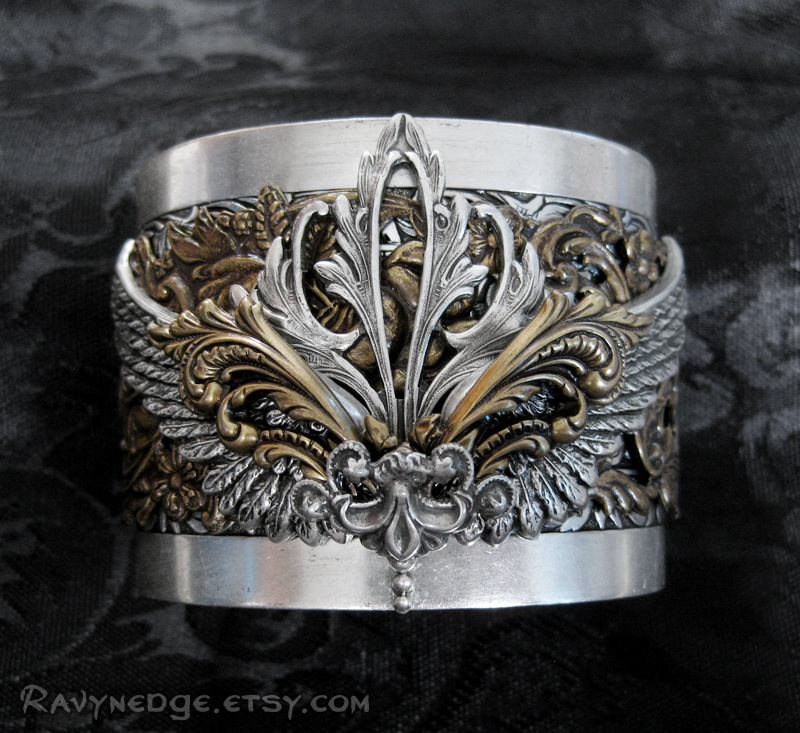 An intricate brass floral band over a wider floral embossed silver cuff forms the cuff base of this unique bracelet. 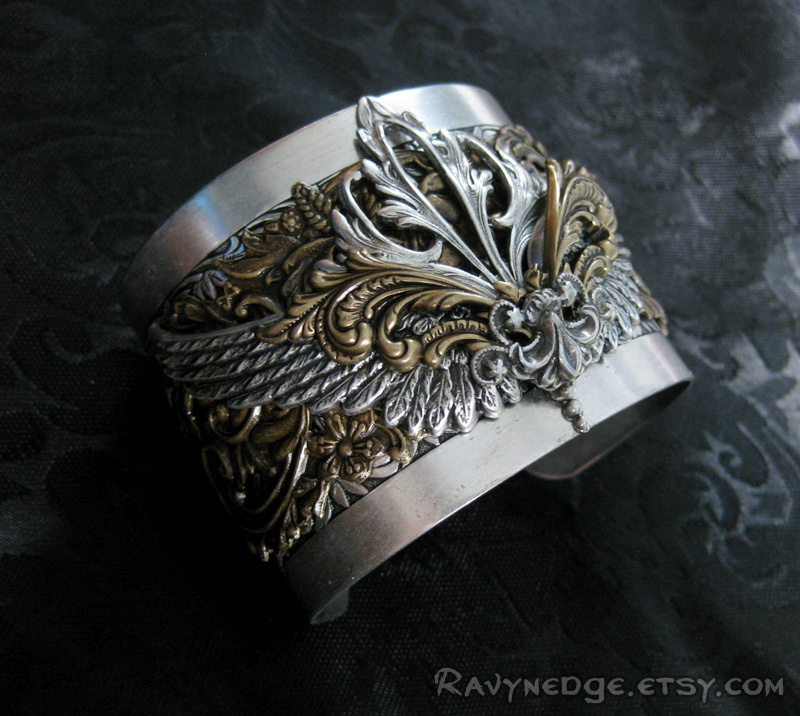 To create a dramatic and contrasting look, I layered a mixture of brass and sterling silver plated brass elements which include a pair of angel wings, assorted flourishes, and fleur de lis. 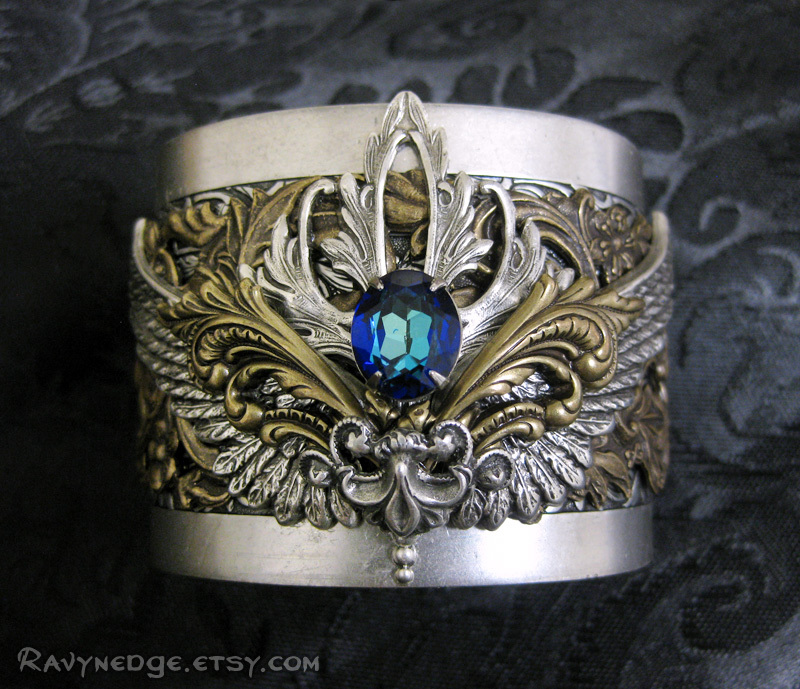 The cuff is almost 2 inches (49mm) wide. It is open in the back and can adjust to fit most wrists 6 inches (15.24cm) and larger. Add some extra dazzle with a Swarovski crystal. Shown here in the rare bermuda blue color.